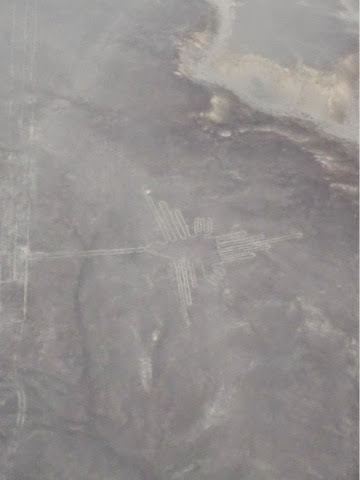 Visiting the Nazca lines was pretty high up on my bucket list and the chance the take a flight over them was too good to be true! I’m still a bit in shock that I have actually gotten to do this! We got to see lots of the figures, only a few of which are shown below as my photos didn’t come out very well as my camera kept focussing on the glass of the plane window. 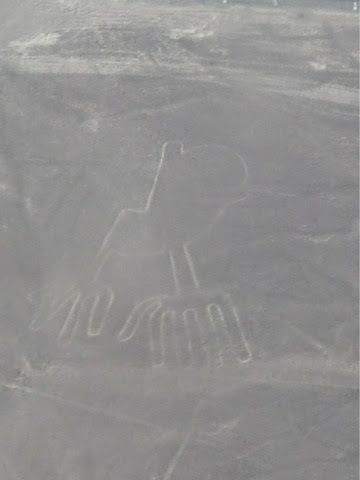 Not much is known about the Nazca lines and they’re only preserved due to the arid climate, a miracle given the size of the river system they are located within. It was very impressive, a bit emotional and tonnes of fun. Some photos below show some of the drawings I saw, although they’re not very clear. There’s a load of information about this topic online so I am not going to go on about it as my posts have been turning into mega essays recently… And today I’m not feeling too inspired to do lots of writing… Too many fun things to be getting on with! 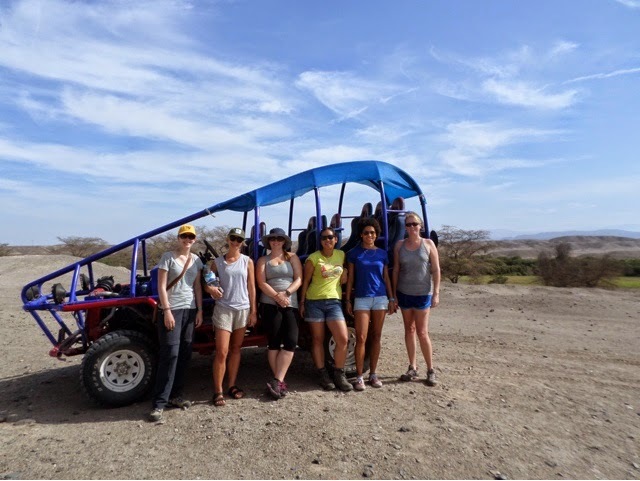 The girls all went on an excursion the following morning, which was highlight as it was such a beautiful day and so much fun. We stopped at some ruins in the desert. 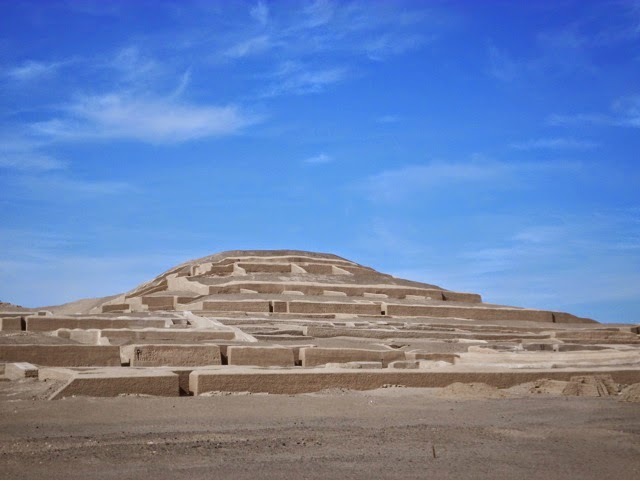 They’re thought to pre-date the Nazca lines and they aren’t sure which culture built them, but they have a ramped adobe brick structure, similar to that of the Mochicas. They are in the process of being rebuilt. The photo above shows the original construction and below the reconstructed pyramids. 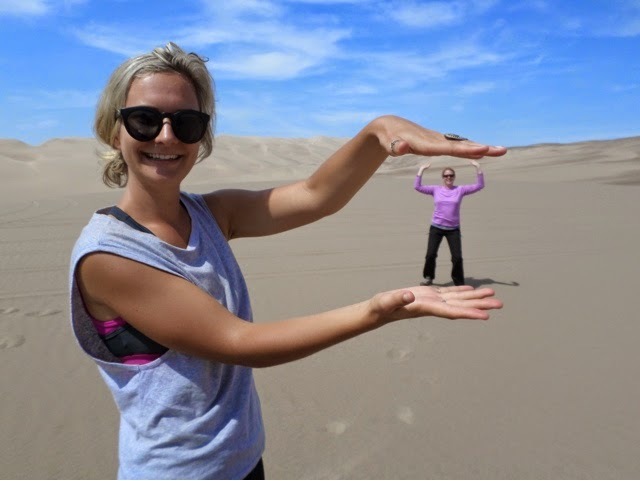 It’s seems that it’s pretty common in Peru that they reconstruct archaeological ruins when they start falling apart… So you’re never all that sure what you’re really looking at to be honest! 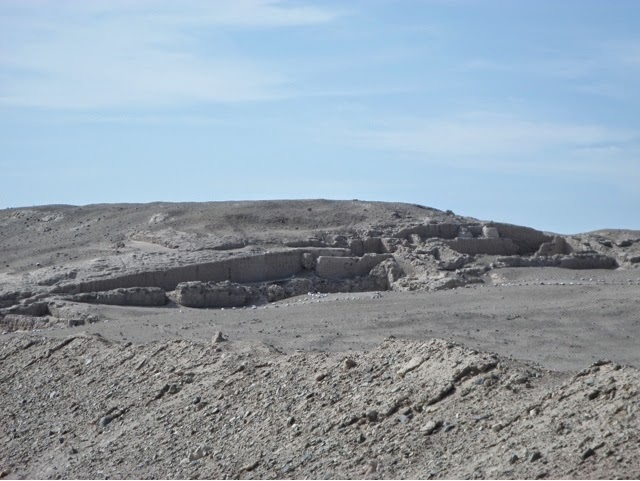 There are approximately 30 clusters consisting of 5 pyramids across a 24km area. They think that religious ceremonies such as human sacrifices were carried out here. 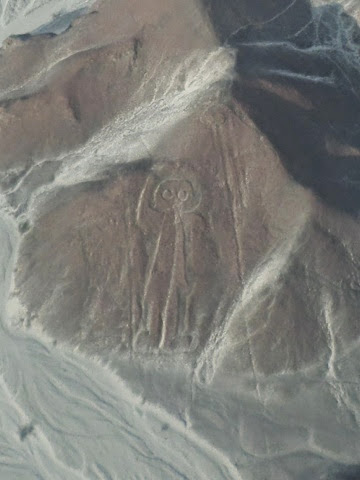 After that we were taken to see a site which was original ally a Nazca graveyard. 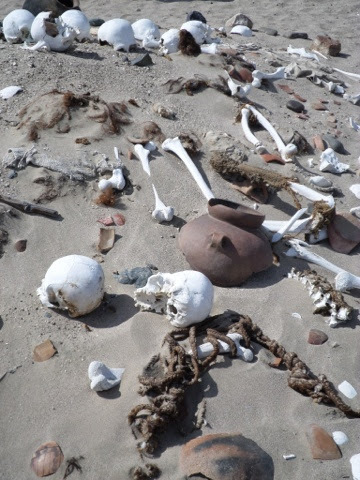 The Nazca people believed in reincarnation and they mummified their dead in sitting positions and buried them. Unfortunately grave robbers targeted these cemeteries hoping that the bodies were buried with riches as was common with other cultures practices. No riches were found but the graves were all ransacked and the mummies and pottery destroyed. There is now just a huge spread of human bones, hair, sarcophagus wrappings and broke. Pottery lying in the desert. It’s quite sad that people are so desperate for money that they would destroy their culture rather than preserve it and make money by promoting it and tourism associated with it. It’s even sadder that the police and government do so little to protect and prosecute. 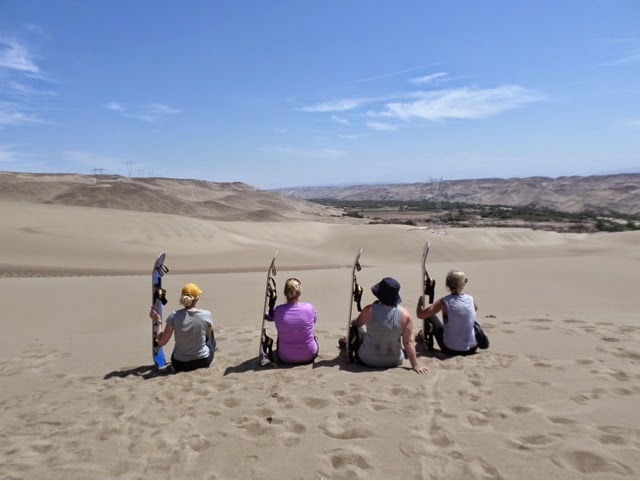 We the headed off into the sand dunes and had fun driving around in the buggy before doing a spot of sand boarding and posing for funny pictures…. The sand boards had proper straps so you could go down on your belly sat on them or strap in and use them like snow boards. 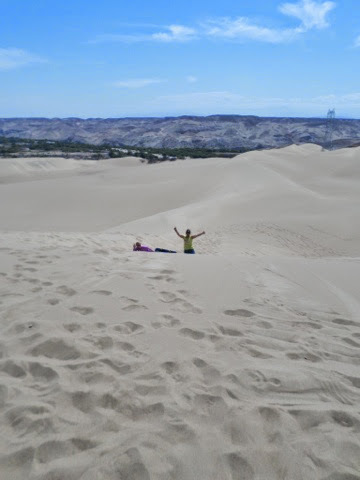 Beautiful views of the dunes. We stopped at an aqueduct, or so they call it, on the way back home. 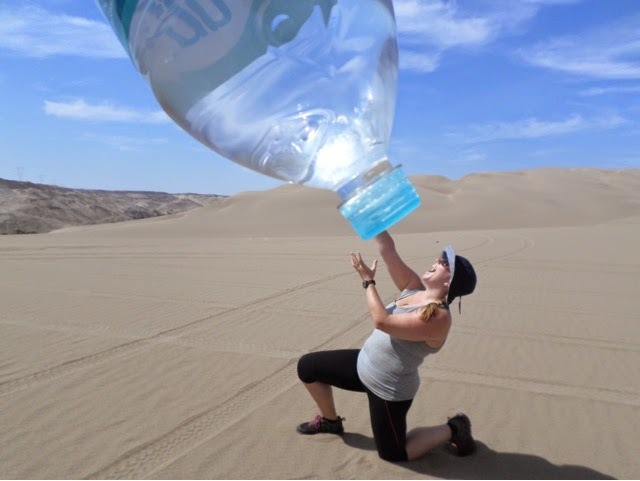 As Nazca is in the middle of a desert water is very scarce. The people. now use satellites to identify groundwater and irrigate. Previously they would only have access to around 30minites of running water per day. 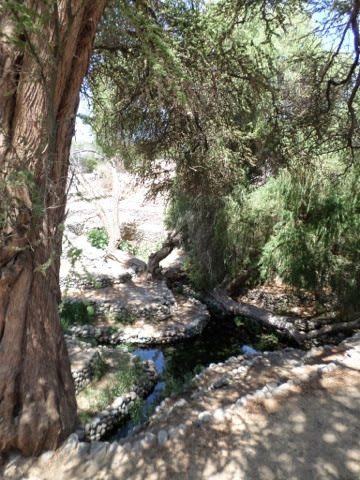 Historically people dug terraced excavations which lead into canal systems and fed groundwater across the area. In this way the local population and agriculture was supported. The valley basins are now full of watermelon farms and we saw crews of men harvesting enormous melons when we were out there. 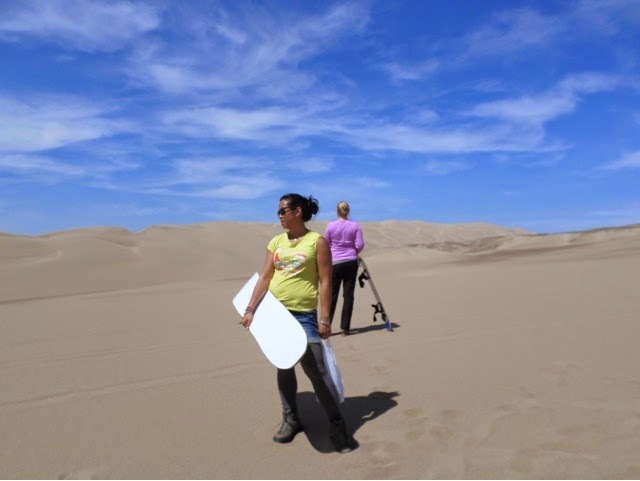 All in all Nazca was amazing, I fulfilled a life dream and had a great time as well…. Now it’s on to Arequipa and Colca Canyon… Only an 11 hour bus ride in the way, boo! 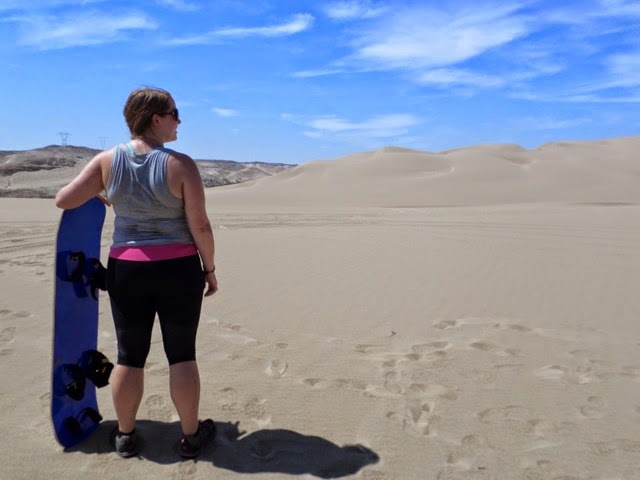 This entry was posted in Travel and tagged Airplane, Aqeuduct, Bucket List, Buggy, Grave, Intrepid, Mummy, Nasca, Nazca, Nazca Lines, Pyramid, Ruins, Sandboarding, South America, SouthAmericanAdventure, Travel. Bookmark the permalink.